CQRLOG | The world's best linux logging program! CQRLOG is an advanced ham radio logger based on MySQL database. 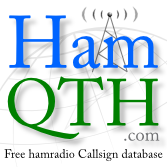 Provides radio control based on hamlib libraries (currently support of 140+ radio types and models), DX cluster connection, online callbook, a grayliner, internal QSL manager database support and a most accurate country resolution algorithm based on country tables created by OK1RR. CQRLOG is intended for daily general logging of HF, CW & SSB contacts and strongly focused to easy operation and maintenance. More details in About section. You can write your own review of the CQRLOG for Linux at eHam.net. while creating your new account! It is our only proof of your validity. will be deleted immediately without any warning! After long time there is a new beta version of CQRLOG. There are some new features and one very important bugfix. CQRLOG is no longer crashing after CTRL+END/CTRL+HOME in the QSO list window. More details in Beta version section. At the 2018 RSGB Convention it was announced a further 6 new IOTA groups would be added to the IOTA Directory. As follows: EU-192 SM – Kataja Island (Finland/Sweden), OC-297 FO – Morane Atoll (Tuamotu, French Polynesia), NA-249 KP3 – Puerto Rico’s Coastal Islands, NA-250 KL – Yakutat County Group, Coastal Groups (Alaska), AS-204 R0F – Kuril’skiye Island North and AS-205 R0X – Bering Sea Coast East. CQRLOG IOTA Tables reflect these additions. After almost half a year we have a new release! The changelog is really long, most of changes done by Saku, OH1KH. We also have a new contributor - Jonas, SM2VSD who fixed a few bugs and added some new features. Saku did a lot of improvements to WSJT interface, TRX control and DX cluster. I added satellite support together with propagation mode and auto-update for membership files. More details in Download section. You can test new beta version. Binaries are in https://www.cqrlog.com/node/2021. For the fist time, I've create CQRLOG.AppImage. More information in the forum post. Please try it, I've been using it for some time and it works. I'd like to release new version of CQRLOG, soon. Thank you! Update: Added build also for RaspberryPi 3. Last month or so a lot of registration emails were rejected by target server. This problem was especially with emails hosted on outlook.com. Now all registration email will be sent from cqrlog.register@gmail.com. Hopefully, it will solve the problem. If you didn't get registration email, please let me know to petr@ok7an.com. Thanks! "Provisional arrangements: Z6 maps to REPUBLIC OF KOSOVO, using country code 522, with a start date of 2018-01-21 00:00:00. This is subject to change when ARRL release the technical data but is based on all the info I have today." Again, big thanks to Saku, OH1KH who added almost all new features and fixed a lot of bugs. New packages for Ubuntu 16.04, 17.10 and 18.04 are already prepared on Launchpad. More in the Download section. A new slashed zero, easy to read font from the Droid Sans family developed for CQRlog. Download here, test and comment, please! Ten years ago, CQRLOG 0.1.0 was released. It already had basic features for comfortable logging like dx cluster, gray line, trx control and great country resolution thanks to tables created by Martin, OK1RR. Happy anniversary and all the best to next 10 years.